Los Angeles collective All Scene Eye has taken over Saturdays at The Lost Knight, hosting free shows every weekend for the tired and thrifty of Echo Park. Tonight fans of noise rejoice as gaze-y quartet Blood Candy blasts the British-styled pub with some sweet Dead Moon jams. The night opens with SHEER's heavy nostalgic hum mere days after the announcement of their debut LP Uneasy. The glorious rose petal flash of San Pedro's post-punk duo Band Aparte follows suit. And drugpop quintet Slow White ends the night with sonic opiates. 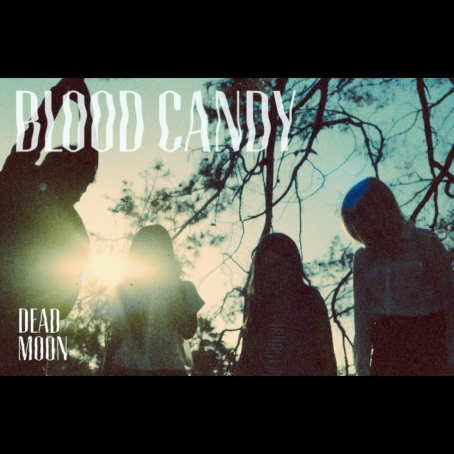 If you were taken by the earlier renditions of femme-fronted Blood Candy's "Dead Moon" and "Heart Attack" you'll love what they did in their newest album. Released digitally on June 5th via Buddyhead Records, the album Dead Moon was recorded and mixed by Joe Cardamone (The Icarus Line) at Valley Record Company and includes studio reworks of songs only previously heard live such as "Starcrush" and "Honey". The album showcases Blood Candy's blend of fuzz and reverb that mingles like lovers' sweat and cigarette smoke — cinematic enough to be featured in a Lost In Translation montage, a Geek and Sundry show, or even your next mixtape/playlist. 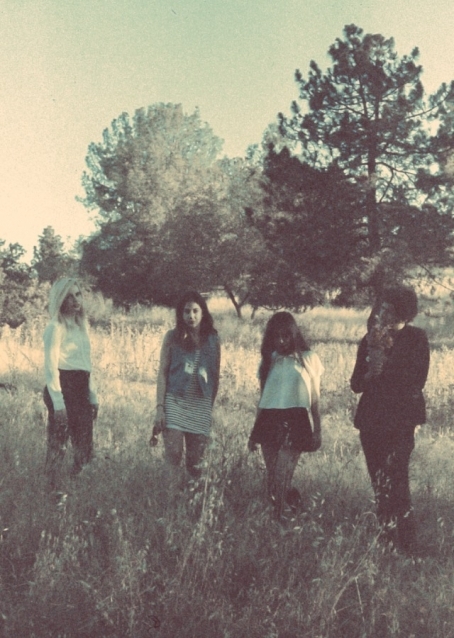 The fiercely fuzz post-punkers Blood Candy to release debut EP "Dead Moon"
Sweet and sanguine, the Los Angeles-raised Tara Harris might be the sister Karen O wishes she had. Too bad though; she's already got her mates Cliff Frelix (guitar), Nicky Kamrava (bass), and Tammy Hirata (drums) in their year-old lo-fi fuzz baby: Blood Candy. 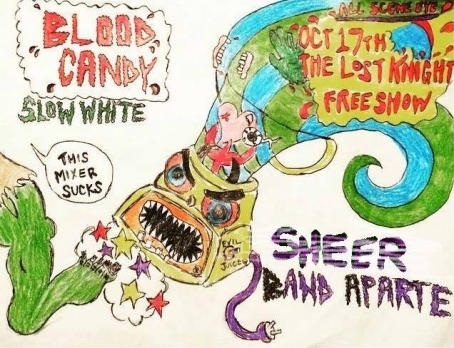 Black Tambourines and The Jesus and Mary Chain comparisons aside, Bloody Candy leaves a metallic taste in your mouth and a ring to your ears that lasts an entire weekend. In the short amount of time they've been together, the four have worked with Joe Cardamone of The Icarus Line, graced LA's one-and-only Part Time Punks, and played with the likes of Tashaki Miyaki, King Woman, and The Stargazer Lilies.